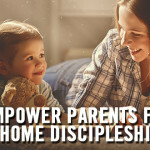 The concept of connecting the church with the home is certainly nothing new, but it has recently become very popular. As this philosophy of ministry is considered, one question that church leaders must ask is who is ultimately responsible for the spiritual development of a child, the church or the home? In church ministry, there is a renewed wave of thinking that is seeking to not just teach kids the Bible, but ultimately equip families to minister to their children as well. So how do we practically equip families? What would happen if your kids ministry assumed your families never go to church rather than assuming they know what church is all about? Heidi Hensley joins us on the LifeWay Kids Podcast to give us wisdom and insight from her experience leading at Bayside Church, a multi-campus church in Northern California. Heidi serves as children’s pastor at Bayside and has been in children’s ministry for over 20 years. Heidi will also be joining us for LifeWay’s new ETCH Family Ministry Conference in October. 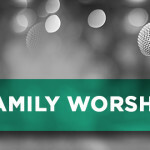 Formerly known as KMC, where this podcast episode was recorded, we’ve expanded our national event to include not only kids ministry leaders, but student ministry and family ministry leaders too. The topic of today’s podcast really helps to set the stage for what our new conference is all about. As we all work to minister to children, students and families, it’s important that you attend a conference together, as a team. This is where you begin to see strategic connection points with what you are doing in children’s ministry and how it feeds into your student ministry. To make our conference even more accessible, we’ve dropped our rates from last year and even extended these discounts to extend for a few more weeks, so now is a great time to register your team for ETCH Family Ministry Conference. Visit our website to learn more and register today!